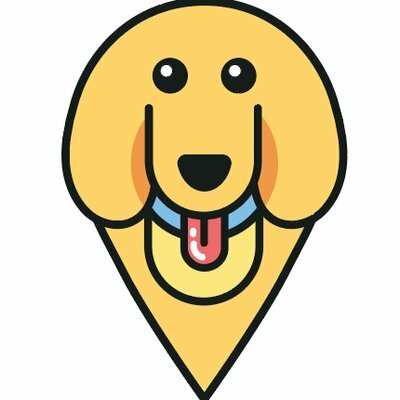 Dog Park Etiquette – furevery – A powerful new app furevery dog parent, furevery dog and furevery dog business. We connect hands with paws. With the spring weather amongst us, dog parks are becoming busier with eager pups ready to play. Dog parks are a great way for your dog to socialize and play but there are also some things to keep in mind while your there! We’ve created a list of tips and tricks to help you with your visit to the park! While at the dog park, it’s important to clean up after your pet when they are finished doing their business! Aside from being polite, this also reduces the spreading of bacteria and germs. No one wants to walk through a dog park full of waste, as there are a lot of parasites and diseases that other dogs can contract when coming in contact with it. Let’s keep our dogs, and the park clean! We suggest bringing a couple extra poop bags incase an owner forgets some. Every dog is different. Certain dogs are not comfortable or used to being around children and may become aggressive. We suggest leaving children at home, until they are older. Accidents happen, and we want your visit to the dog park to be a positive experience for both you and your furry companion! Some dogs are more aggressive or passive than others. If your dog has an aggressive nature, you should consider this before taking them to the dog park. The last thing you want is for your dog to get aggressive with someone else’s pooch because it makes it a stressful experience for both you and the other owner. Toys and treats are great, but unfortunately not for the dog park. Dogs get possessive over their toys and if another dog were to come and interrupt their play time, it wouldn’t go over so well. Not all dogs like sharing, so that’s why toys are not permitted at the parks! Along with toys, treats are also something you shouldn’t bring. This can cause other dog’s to get jealous and you could have a park of dogs running towards you. This may seem like a dream come true, until they jump on you. So leave the toys and treats at home! It’s very important that your dog remains on their leash until they are inside the fenced area. We don’t want your dog going off on an adventure by themselves because chasing after them isn’t fun and when it comes to running, they usually win. It’s also important to take your dog off of the leash when enter the fenced area because it can be upsetting for them to look at other pups that are roaming free. Who would want to humiliate their dog in front of their furry friends? No one! It is important that you socialize your puppy with other dogs at a young age. It’s suggested that 4 months is a good age to introduce them to other dogs. That being said, it’s crucial that your puppy has had their necessary vaccines. Dog parks are full of germs and bacteria and without vaccinations your pup won’t be protected and could get sick! Nothing is worse than a sick and unhappy pup. Keep in mind that you are 110% responsible for your dog while at the park. If your dog is misbehaving don’t leave it up to someone else to handle the issue for you. The best thing to do in a situation of misbehaving is to remove your dog from the park and perhaps try again another day! No one’s dog is perfect but it’s important to take responsibility for your pooch and their actions. Most dog owners will stay away from the parks on a rainy day, but what happens when the rain starts while your at the park? We suggest keeping a towel in the car to prevent muddy paw prints in the car and house. With spring comes rain and this also means the dog parks could be muddy for a couple days after rainfall. So again, a towel is highly recommended! That completes our list of dog park ettiquette tips and tricks. We hope you found these helpful and enjoy some quality time at the park with your pup!